A huge Thank You to everyone who visited my Photography Booth at the Summer S.L.A.M 2017. It was a beautiful weekend with highs in the upper 70's, light breezes, and plenty of sunshine. Bozeman is a great community with multiple events scattered around the beautiful parks over this weekend. Sandhill Cranes with little ones. Every year for the past 4 to 5 seasons, I have been watching these Sandhill Cranes raising their annual brood. I was pleased to once again see them this year, and this time with two chicks. Cute little fluff balls! I just missed a shot of the adult feeding a juicy fat worm to the chicks. I hope that when I return to Bosque Del Apache in December later this year, I will get to see this whole family fully grown. In the meantime, I will be watching them grow along the banks of Montana's rivers and ponds! CLICK HERE to view the ON A WING Gallery. The 2016 in Bowdoin NWR trip was dominated by rainy weather. Just a few miles away mass amounts of snow were blanketing north eastern Montana, eventually leading to knock down power lines, and major flooding. Despite the rain, wind , and cold the birds kept doing what birds do. Grebes don't care that it is raining and blowing - their showy mating rituals go on anyway! Slight size difference between these two shorebirds visiting Montana for the spring. Subtly beautiful shorebird. The shades of violet and purple are striking! Rain, snow, sleet or wind, nothing stops ducks from flying away from Cameras as fast and far as possible. We surmised that the cold front pushed some migrating birds down as Bowdoin seems to have even more than the usual amount of warblers and sparrows. I love seeing the first of the year of these bright small warblers with their sweet sweet sweet song. It seemed every bush, twig, and stick-up had a trilling singing clay colored sparrow gracing its foliage. First time I have ever seen one of these warblers. Its fleeting movements in the understory allowed very brief glimpses of its striking black and white plumage. These ever present summer residents were in great abundance art Bowdoin. It seemed as if there were dozens of them no matter where you looked. Early morning light glancing over the Tobacco Root mountains west of Three Forks Montana. Two of my oldest and best friends have a new addition to their family. Dogs are simply awesome! CLICK HERE to find out about having an outdoor photography session with your dog. The Snow Goose, the other main attraction at Bosque Del Apache National Wildlife Refuge. By the thousands, and tens of thousands, these birds can feel the air and airwaves wight heir presence. It is a sight and sound to behold. Snow geese set against a cold winter blue sky of New Mexico's Rio Grande Valley. Bosque NWR is a jewel lying in the heart of one of the west's iconic river valleys. A new bird for me at Bosque NWR, was this beautiful Curve Billed Thrasher. The intense orange iris and the distinct arc of its long bill, seem to aptly fit its thrasher moniker. Raptors abound in Bosque NWR, but these small raptors made a frequent showing this year. Loving to hover above the corn fields before descending with intense precision and speed, the Kestrel is a fierce hunter. I loved the fanned out tail and upright wings of this Kestrel, even though it appears to b e missing its head. The Western Meadowlark, one of my all time favorite birds. A sign of spring all across Montana, the meadowlark is quite abundant at Bosque. The only thing missing, is the melody. A recent trip to Bosque Del Apache in New Mexico yielded another incredible time immersed in the world of birds. I simply love this incredible National Wildlife Refuge, and consider myself especially lucky to be able to enjoy this special place. I have never been anywhere like Bosque Del Apache National Wildlife Refuge. It is managed for the birds, and the abundance and diversity of bird species that at one time or another call this home is impressive. One of the aspects of summer in the greater Yellowstone region that I enjoy the most is to observe the annual coming and going of some of the critters. Just about every morning I pass by a beautiful set of ponds just off of Beaver Creek. Every year there are a few of the same animals that use these ponds to raise their young. The past couple of seasons I have seen these Ring Necked Ducks raise multiple ducklings. Once again this year there are at least 6 ducklings if I count the flurry of fluffy activity correctly. Last night a few of them were capturing a little snooze. First of the year Warbler for me. 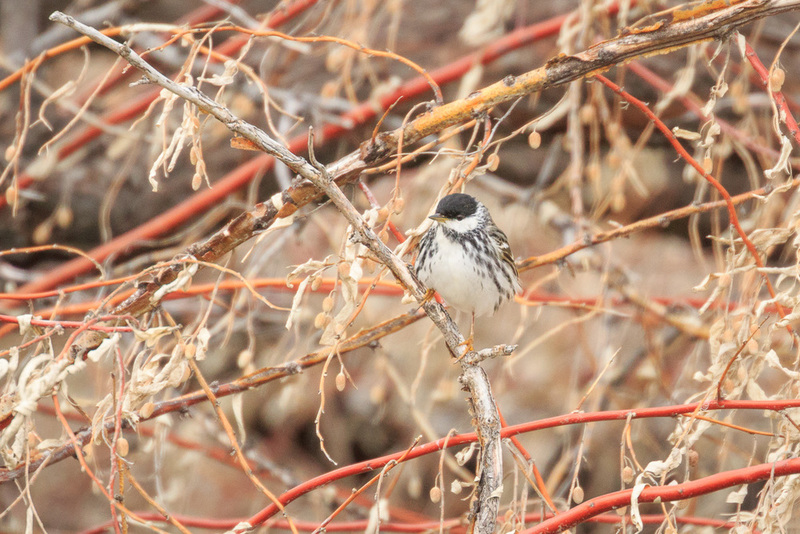 The Yellow Rumped Warbler is a constant companion while fishing the rivers of Montana in the spring. This beautiful little bird seems to always be feasting on the same bugs the fish are feeding on. Hebgen Lake, Montana "Dragon Fire Fisherman"
Quake Lake, Montana-"Ring of the Quake Rise"
I captured this moment last year as the snow was receding in the spring. Love the energy and patience of a coyote hunting mice and voles. This piece now hangs in the board room of the Bozeman office of the Natural Resource Defense Council. Found this dude curled up in the snow high on top of Blacktail Plateau in Yellowstone National Park. Second gorgeous coyote of the year for me in the Park. As the day wore on, we saw a few finches and sparrows and then a couple of Townsend Solitaire's. Peter spotted a large flock of Waxwings, as we stopped for a northern shrike spotting, but they were traveling fast and heading off into the distance. Then we pulled over to scan a juniper covered hillside, only to discover hundreds of Robins, many solitaires, a flicker or two, and then the large flock of waxwings. I was lucky enough to participate in the annual Ennis Christmas bird count with George Kelly. Met some wonderful people and fellow bird enthusiasts. Marginally nice weather for this time of year, and some good birding. This Harris Sparrow (picture above) was the highlight for our group, and is a fairly rare visitor to this part of the state. Looking forwards to another Christmas count in Bozeman on Saturday. A few house sparrows see along with the Harris Sparrow. George spotted the Harris Sparrow amongst the flurry of House Sparrows as it dove out of some ground cover. An American Tree Sparrow. One of five individuals that magically appeared for a brief few seconds. Disappeared just as quick. It is amazing to me, as a relatively new birder to the birder world, how years of seeing "little brown birds" and casually dismissing their plainess, actually have quite beautiful and detailed feathers, once you get a closer view. A covey of 15 or so of these Huns, tired to hide by hunkering in the snow and grass. Topped the day off with a couple sightings of the Townsend Solitaire.